Louisiana is one of the few states in the country with a direct action statute. A direct action statute allows an injured person (the plaintiff) to sue the insurance company of the person or entity who caused their injury directly. In other words, the plaintiff does not even need to sue the person who hurt them to be able to sue the insurance company. They can skip right to suing the insurance company. The insurance company defends itself and is entitled to most of the same rights and defenses in court as the person who caused the injury would have been. This means that time limits and other procedural concerns still apply, but things like spousal immunity generally do not. Insurance companies are armed with good lawyers, and you should be too. Contact one of the experienced New Orleans Personal Injury Attorneys listed here to help you get the justice you deserve. A New Orleans personal injury attorney will be well versed on who to sue and what parish to file the personal injury lawsuit. How does Louisiana's Direct Action Statute differ from the law in other states? New Orleans injury and trial lawyers have fought for years to keep the direct action statute on the books in Louisiana. Almost every legislative session, someone tries to legislatively repeal it. Insurance companies and insurance defense lawyers advocate its repeal because, they argue, it increases the size of the verdicts. In most other states, the injured person (plaintiff), sues the person who hurt them (defendant). If the defendant has insurance, the insurance often pays for the defendant's legal defense. 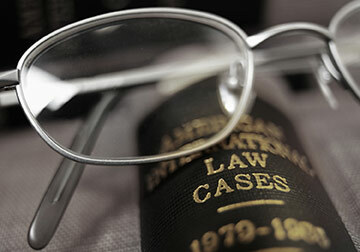 If the court rules against the defendant, the insurance company usually indemnifies (gives the money to) the defendant. Injured parties are generally not allowed to sue the insurance company directly to recover money. However, in Louisiana, these extra steps are not required, and an injured person can sue the insurance company from the get-go. This often results in larger verdicts because a jury is more willing to take money from a corporation than from an individual defendant. I'm being sued! Will my insurance company pay? This is a very complicated issue, and depends on the specific facts of your case. In general, a Louisiana insurance company is only required to defend against a claim for which you are covered. Contact one of the Louisiana Personal Injury Lawyers listed on this site today to discuss your case. To which types of cases does Louisiana's Direct Action Statute apply? In any accident where an injury occurred in Louisiana and the person at fault was insured, the Direct action statute applies. Some common examples are car accidents, slip-and-fall cases, and professional malpractice cases. A. No policy or contract of liability insurance shall be issued or delivered in this state, unless it contains provisions to the effect that the insolvency or bankruptcy of the insured shall not release the insurer from the payment of damages for injuries sustained or loss occasioned during the existence of the policy, and any judgment which may be rendered against the insured for which the insurer is liable which shall have become executory, shall be deemed prima facie evidence of the insolvency of the insured, and an action may thereafter be maintained within the terms and limits of the policy by the injured person, or his or her survivors, mentioned in Civil Code Art. 2315.1, or heirs against the insurer. (f) The insured is deceased. (2) This right of direct action shall exist whether or not the policy of insurance sued upon was written or delivered in the state of Louisiana and whether or not such policy contains a provision forbidding such direct action, provided the accident or injury occurred within the state of Louisiana. Nothing contained in this Section shall be construed to affect the provisions of the policy or contract if such provisions are not in violation of the laws of this state. C. It is the intent of this Section that any action brought under the provisions of this Section shall be subject to all of the lawful conditions of the policy or contract and the defenses which could be urged by the insurer to a direct action brought by the insured, provided the terms and conditions of such policy or contract are not in violation of the laws of this state. D. It is also the intent of this Section that all liability policies within their terms and limits are executed for the benefit of all injured persons and their survivors or heirs to whom the insured is liable; and, that it is the purpose of all liability policies to give protection and coverage to all insureds, whether they are named insured or additional insureds under the omnibus clause, for any legal liability said insured may have as or for a tort-feasor within the terms and limits of said policy. If you or a loved one is in need of an attorney to sue an insurance company, whether it be for something they have done to you directly or under the Louisiana Direct Action Statute for the actions of one of their policyholders, contact a Greater New Orleans area personal injury attorney on this site for a free initial consultation.